Gorillas Uganda Tracking Tours: Experience the thrill of meeting face to face with the awesome and rare mountain gorillas in their natural wild. 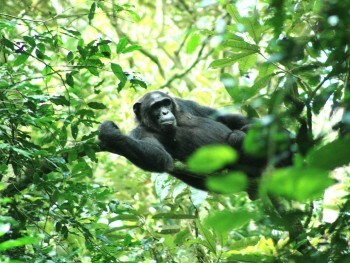 We arrange gorilla safaris and tours in Uganda, Rwanda and Congo. Uganda prides itself in being a host of over 400 mountain gorillas compared to other hosts that are Volcanoes National Park in Rwanda and Virunga National Park in DR Congo all found in the Virunga Gorilla Conservation Area. 3 Days Uganda Gorilla tracking tour involves you travelling to Bwindi Impenetrable National Park. 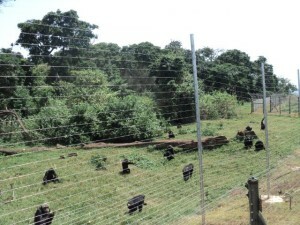 Track the gorillas in the wild on day two and drive back to Kampala/Entebbe International Park. Tour Price includes; gorilla permit, mid range accommodation, transport, guide/driver. Contact us to book the tour. Gorilla & East Africa Safari focuses on safari operations across the East African region covering Uganda, Rwanda, Kenya, Tanzania & DR Congo. We offer a wide range of packages that include; Gorillas Uganda tracking tours and safaris, gorillas of uganda permits, Rwanda gorilla permits, gorilla tracking tours in Rwanda and Congo, birding and wildlife safari, primate watching, mountain trekking, adventure trips and honeymoon. We ensures that all safaris to East Africa give visitors a real adventure and experience of the life time and not just travel. On our Kenya and Tanzania tours, we take you to both the top destinations that include Masai Mara and Serengeti, and to new and unknown places. 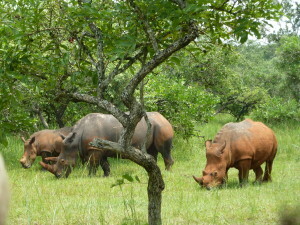 Uganda Safaris: Uganda the ‘pearl of Africa’ is a stunning destination having almost everything that Africa has to offer. Its home to more than half of world’s remaining mountain gorillas, vast wildlife and primates, bird list of over 1000 species, stunning sceneries of the snow capped Rwenzoris – the tallest mountain range in Africa, and River Nile the longest in the world having and one of Africa’s seven natural wonders. Safaris in Uganda range from wildlife, adventure, tracking tours especially for the primates like the gorillas Uganda, Chimpanzees, golden monkeys. Find suggested tour packages below.